“What happened to the Canaan Home orphans and their families after New China forced Laura Richards to leave China?” readers of Laura’s Children often ask me. This fall Xiaomei Lucas, whose mother grew up in Canaan Home, gives us a glimpse through her essay, “Exiled to Gansu Province” in That Mad Game: Growing Up in a Warzone, edited by J.L. Powers and published by Cinco Puntos Press (www.cincopuntos.com). I used to get so angry with our children when they wasted food that my husband Barry must have thought This lady has to be crazy!! But when I was growing up in Gansu Province in China, I knew children who were so hungry, they tied a rope around their stomach so they could sleep in spite of their hunger pains. In those days the government determined people’s job and residence assignments. My mother was working as a nurse for a famous hospital in Beijing. Vice-Chairman Lin Biao wanted to test his power, so he issued a policy that all the big hospitals had to send some of their doctors and nurses to work in the countryside. Mom’s hospital chose to send her. They wouldn’t say why. My mom cried every day. My dad was depressed. My 12-year-old brother begged my parents to leave him with relatives, but he was a troublemaker, and no relatives wanted him. My family knew it was exile, that we might never be allowed to come back. But I was seven years old and to me it sounded like taking a vacation. I was excited, the only one who was happy. The government sent my father to a power plant and gave him a house for our family to live in. He was in charge of everything for the power plant. There was no hospital so my mom’s medical staff occupied a big temple. Her medical team had to travel for three months at a time visiting farmers in remote mountain villages. They had to hike on foot and wade through mountain streams in their bare feet. So Mom was gone most of the time. My daddy went to work early and came home late because after work he had to attend political meetings. I cried and cried in bed because I was just seven years old and had no experience being separated from my parents. Gansu was the poorest of the poor provinces. Our new home was remote. There were few telephones. People didn’t even have bicycles. I had to walk three miles round trip every day to elementary school. Gansu is in the middle west of China. Winters are very, very cold. My school in Beijing had a different graduation time from the school in Gansu, so I ended up getting in middle school a half year early. I was the youngest – tall, but mentally just a little kid. The rural students who boarded at the school were even older than the urban students at the same grade level. The middle school was four miles away, so the round trip every day was eight miles, and I had to climb a mountain both ways. The government killed a man on the way to my school. I didn’t see the killing, but I was terrified, afraid to go past that spot. My dad never learned to cook. He couldn’t take care of himself. So I started cooking at a young age. It was hard. I had to build a fire, keep it going, and cook everything from scratch. My older brother had to go to boarding school in another county, so by age nine I was cooking, making coal fires, cleaning the house, and washing clothes by hand when I came home from school. The coal dealer would dump a whole truckload of coal in the yard, and I had to gather the coal, sort it, sift it and make coal balls. By nighttime, I was so tired I could hardly move. I was a little girl. There was no one to take care of me. Life for me was tough, but I didn’t know about the different life other people had. So I was happy. I raised pets – a sheep, a cow. And I had food – food enough to share. The government treated farmers different from city people. My family’s identity was urban, but 90% of my class had a farmer identity. With an urban identity we could get government food supplies like flour, cooking oil, and meat. Farmers were supposed to be self-sufficient, though, so there was no way their families could get extra food. Since my family got the government supply and both my parents worked for a salary, I was a rich girl compared to the other kids. Every day I packed my lunch box solid. I pushed and pushed to get all the food in, as much as I could bring to school. Then I shared with my classmates. Sometimes the teachers volunteered to share my lunch. I felt honored. Those kids loved me and hated me. They loved me because they could have some of my lunch. They hated me because I had so much. I was young and didn’t understand their attitude. Rural Communist leaders could send their children to school as boarders. The farming kids went home once a week to bring back steamed buns and bread to eat at school for the week. In the winter, the bread was OK, but in the summer, it went bad. It got stringy and turned gray. The kids just broke the bread and let the sun dry it so it wouldn’t stink. It was all they had to eat. Even if the bread turned green, they would still eat it. In high school I took an agricultural equipment class and joined the tractor team. We went to villages to plow farmers’ fields. We’d work the whole day, and when we had a chance to eat, we were like wolves. We’d fight for the food. I could eat seven bowls of noodles, I was so ravenous. Wherever we went, the school found a farmer for us to live with. The farmers lived in such poor conditions. To build a house, they would dig a hole in the side of the mountain. They made bricks from mud, and when the mud dried, they used the bricks to build a wall with a door and a bed – a hollow platform for sleeping, with the oven at one end. So the family lived in a tunnel. Everyone slept in that one big mud bed, the women on one side, the men on the other. They would fight for one blanket. There were fleas. It was an education. I saw kids who were really poor, really hungry – and I saw that I had great privilege. My parents were very worried about me, because I chose the class for driving and repairing tractors instead of taking academic subjects. But after half a year, I had enough. Thank goodness when the school picked the best students to prepare them for college, I was one of them. The teen years were a dangerous time for me. I grew up like a wild child, with my parents gone, no one taking care of me. I could have gone wrong. But I had a dream: there were two paths before me. One path was being a good girl, doing what was right. The other path ended up in jail. There was no hope for the other path. Then I woke up. After that I would remind myself I must go on the right path. I was terrified by those two paths. I knew nothing about God back then. It was illegal to talk about God. But today I believe God helped me through that dream. Everything depended on your identity. If you had a good identity like farmer or worker, nobody was likely to bother you. But if you had a bad identity, you were persecuted. In most of the mandatory political meetings, they pulled out the people with bad identities, and everyone forced them to confess to everyone else in the room. The meeting couldn’t be over until they satisfied everyone. It happened to them over and over, sometimes daily, sometimes weekly, no matter what position they held. My schoolteacher was a really good person. Yet they made her stand on the platform to confess her sins to all the students. Poor lady, at every meeting she had to confess: what she did wrong, what her parents did wrong, how her family treated the farmer badly, because the farmer had nothing to eat, but she and her family could eat white flour noodles. She had to say how bad those things were, and on and on…. People might have a good reputation, and then suddenly be persecuted. Their critics shamed them by writing accusations saying how evil they were in big characters with a big brush on newspaper. They papered their house with the signs every day. Their children were too ashamed to come out of the house. Their persecutors put a huge newspaper hat on them, then made them kneel down and confess their sins to an entire school or factory or an entire neighborhood. Everywhere they went other people pointed their fingers at them. People with bad identities felt hopeless, faced with endless confession meetings where they were verbally and physically attacked. Children carried their parents’ identity – they didn’t do anything, but they inherited a bad identity. So they felt helpless, because there was no way to erase a bad identity. Fortunately the violent stage of the Revolution was over by the time I became a Red Guard in middle school. I never saw people being beaten to death like my older brother did. I attended meetings and wrote slogans. Being a Red Guard was expected. If you wanted to be considered a good child, you joined. We knew nothing. We were just kids. The vice-principal at my school was against the teachers with bad identities. So once, to humiliate the chemistry teacher, the vice principal told me “I think you’re a good candidate to teach the chemistry class.” I struggled with that. Could I do it? He talked to me about it a couple of times. Finally one day I told the chemistry teacher in front of the class, “You don’t need to teach. I’m going to teach.” He stared at me. He was speechless. So I just took over. Since I needed to teach, I studied hard. I got a good response from the students. After a month, though, I used up all my knowledge. So I told the teacher, “You can go back.” I was thankful for that opportunity to teach. I found out I could really study and remember things. After Mao Tse Tung died in 1976, the Cultural Revolution ended and the country began gradually recovering. My father’s factory decided to let my father come back to work for them again, so in 1979, after ten years in Gansu, he and I were able to come back to Beijing. It took my mother another year to be allowed to come back, and it took my brother even longer. Many doctors and nurses who moved to the countryside under Lin Biao’s order are still in the rural areas today. No one gave them a chance to return. Now they are too old to work, and their children married local people. Their families became the bottom of society in China. One day after my mother returned to Beijing she found out why the hospital exiled her to Gansu. Our apartment was next door to the hospital director. His wife assumed that my mother knew why she was exiled and carelessly referred to the reason: Mom was raised in Canaan Home, a Christian orphanage run by an American, Laura Richards. Mao Tse Tung taught that all religions were evil and that America was China’s enemy. So the hospital chose my mom for exile because she was raised Christian and her adoptive mother was American. All the time we were in Gansu, my mom complained and said it was not fair that we were sent there. But when the director’s wife told why she was sent, Mom realized that being in Gansu protected our family. Our lives were hard there, but no one knew our background. No one knew how my mother was raised. No one knew that my father used to own the factory in Beijing. So we had a peaceful time. I didn’t get persecuted or mocked in school. If we had stayed in Beijing, who knows what might have happened? Really bad things happened to our relatives living there. Some of the other Canaan Home orphans were given a foreign spy identity because their adoptive mother was American. A spy identity is the worst political identity. Some orphans were sent to labor camps or remote places to work as farmers because of that identity. My mom took English classes at Canaan Home, and she taught me some English. I decided to learn English, so I studied hard and eventually used my language skills to get a job at an international trading company. In Gansu I was a little girl who cooked and cleaned for my dad, and he spoiled me. He used to give me a whole month’s wages so I could go on a trip. When I became a young adult, he suddenly turned against me. Today I understand my dad better. New China’s politics and the Cultural Revolution ruined his chances to fulfill his dreams. The government took over his family business and he had to work in his own factory, where he was treated badly and sent to Gansu. So his heart was bitter, and he put all his hopes and expectations in me, using me to fulfill his dreams. But I was strong-willed and had my own ideas. When I showed disrespect for his way or made decisions he disagreed with, it hurt him. My dad’s bitterness pushed us apart and caused me to make a terrible mistake. He treated me so badly that I left home and lived in a little room by myself. I wanted someone to love me. I wanted to leave that little room and have my own family. So I married a worker, a mold maker. There was a huge gap between us socially. My friends left me, and his friends felt uncomfortable. My career took off, my salary was much more than his, and the gap got bigger and bigger. Husbands don’t like a wife to be too strong, too talented. It causes too much pressure on them. My husband had a terrible temper. He used abuse to control me and after our son was born, he used our son to control me. Once when we took our son to visit his parents, we got into an argument, and he beat me in front of his parents. That is when I promised myself, Someday I’ll leave. Eventually I did, but meantime, I was miserable. I traveled a lot internationally and inside China because of my work. Travel was my escape. I loved money, power, position – and I got them through my job – but I needed something more. In my mind I knew there must be a God, so I started searching for spiritual information when I traveled outside China. I went to Egypt eight times. People there gave me some tracts to read, but I went to sleep after only one or two sentences, so I never read them. In Germany a white-haired German at a trade show gave me a Chinese translation of the Bible. I read it over the next two years. Some of the stories were familiar, and I figured out why after I told my mom I decided to be a Christian. She said she was one, too. She was a secret believer. When I was a little girl and kept asking her to tell me a story, sometimes she told me a Bible story she remembered. My mother didn’t have a Bible herself, of course. It was too dangerous to own a Bible until after the Cultural Revolution. Growing up, I knew that Mom was raised in an orphanage and her adoptive mother was American. But I didn’t know that the orphanage was Christian. Mom was very close to other Canaan Home orphans, who visited us often. I loved hearing them tell stories about the orphanage. But they were cautious. They never mentioned that the orphanage was Christian, and I never overheard them say anything about God or Jesus or the Bible. It would have been too dangerous for everybody in my family. People think it was a tragedy for me that my family was rejected and exiled because of my mother’s religious upbringing. In some ways it was. The civil war affected the quality of my education. My schools were poor and teachers lacked authority to insist on strong academic standards. The war also deprived me of a modern urban lifestyle. My peers in Beijing had more opportunities and much better material possessions than I. Most important, the war robbed me of my parents’ presence and guidance when I was young, and it caused my bad first marriage decision. Still, I think my experiences growing up made me more mature and gave me a stronger character. I thank God for that. 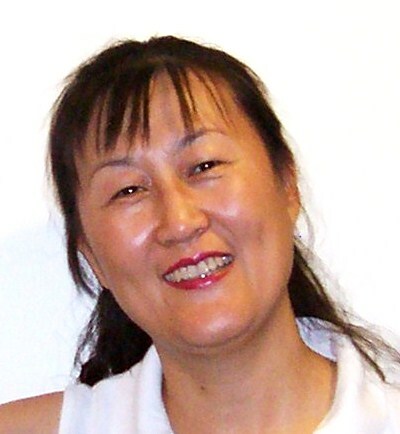 Xiaomei Lucas is a Lead QA Engineer for GE Oil & Gas in Houston, Texas. She is also the Chinese translator for Laura’s Children: the Hidden Story of a Chinese Orphanage (titled in Chinese Faith Journey: Laura Richards and the Orphans of Canaan Home in China), which tells the true story of her adoptive American grandmother’s efforts to save the lives of 200 Beijing-area children through famine and war from 1929 to 1951.